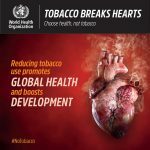 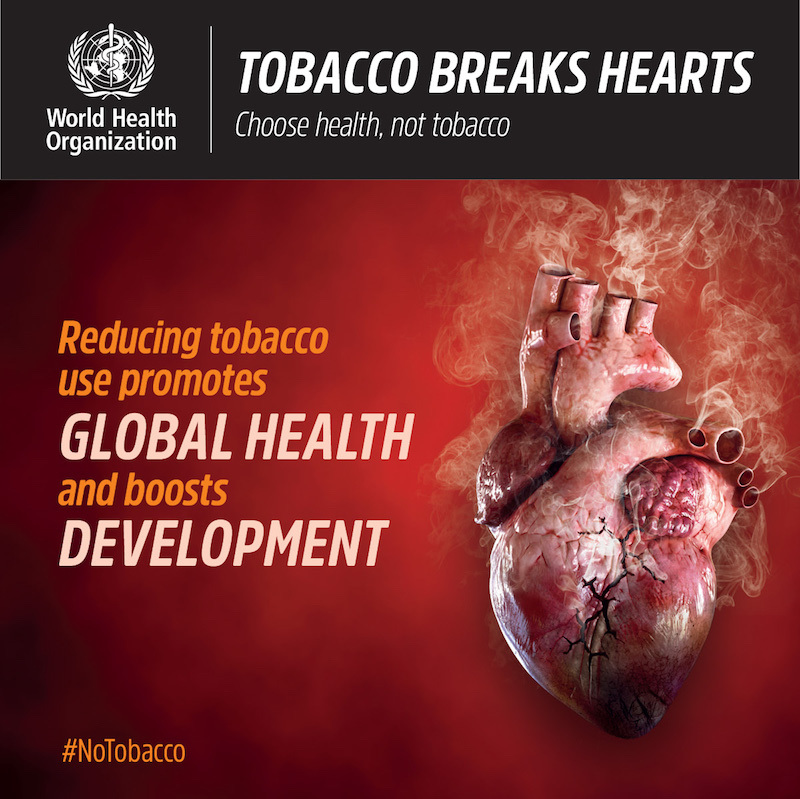 Tobacco use and second-hand smoke exposure are major causes of CVD, contributing to approximately 17% of all cardiovascular deaths globally, about 3 million deaths per year. 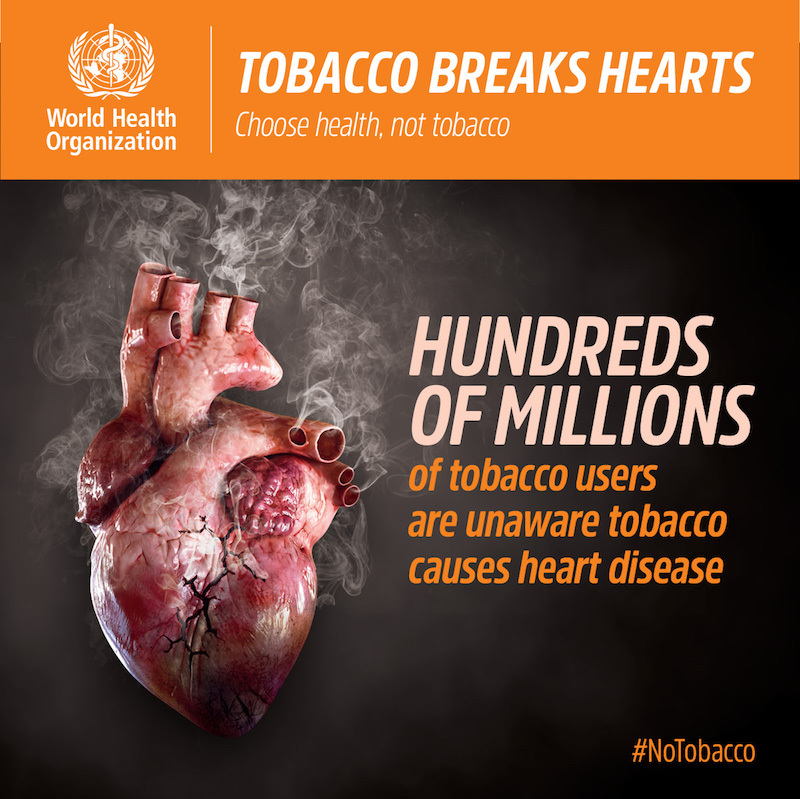 Exposure to second-hand smoke can cause coronary heart disease, increasing the risk of disease by approximately 25–30%. 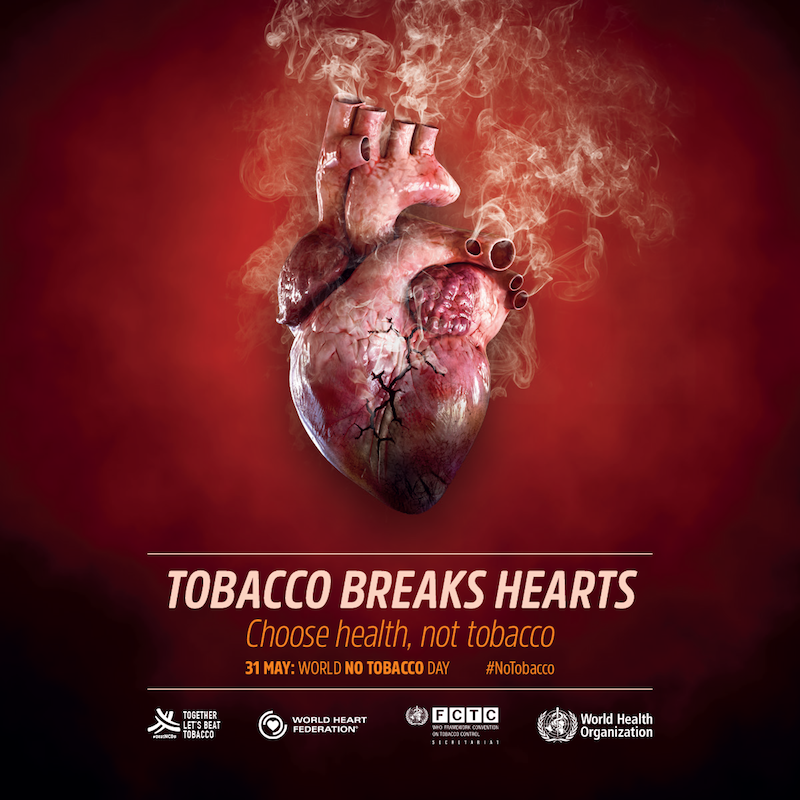 CVD is by far the greatest cause of deaths associated with second-hand smoke; around 55% of the estimated 890 000 worldwide deaths caused by second-hand smoke are attributed to ischaemic heart disease. 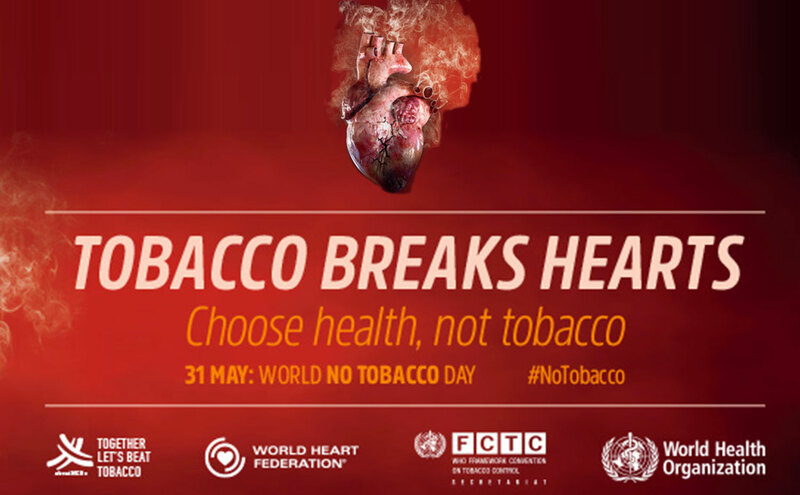 All tobacco products are inherently harmful, including smokeless tobacco, which contains over 2000 chemical compounds, including nicotine. 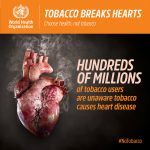 Heated tobacco products (HTP), also known as heat-not-burn (HNB) tobacco products, are battery-operated devices that heat tobacco to a lower temperature (up to 350°C) than when a conventional cigarette is burned, a process which occurs around 600°C.. 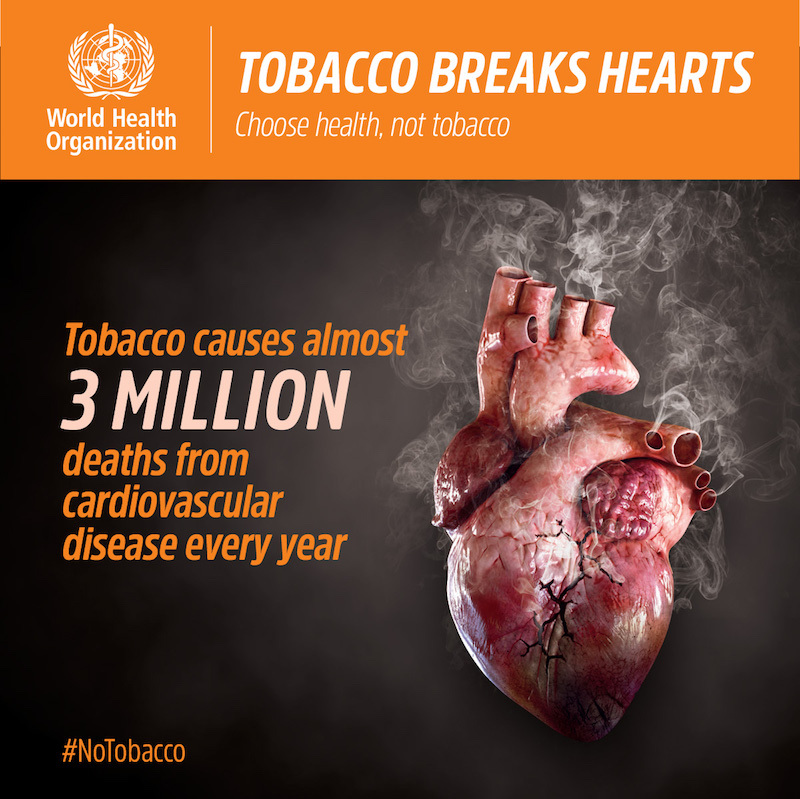 The benefits of quitting tobacco use are substantial. 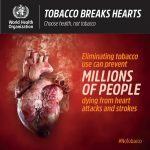 WHO recommends brief advice, use of counselling (toll-free quitlines) and/or mobile text messages (mCessation) as the most effective solutions to help tobacco users to quit.. The global economic cost of smoking is estimated at more than US$ 1.4 trillion per year. 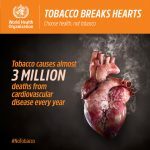 This includes around US$ 400 billion in direct medical care costs and nearly US$ 1 trillion in indirect costs, representing the value of lost productivity due to premature death and morbidity from exposure to second-hand smoke. 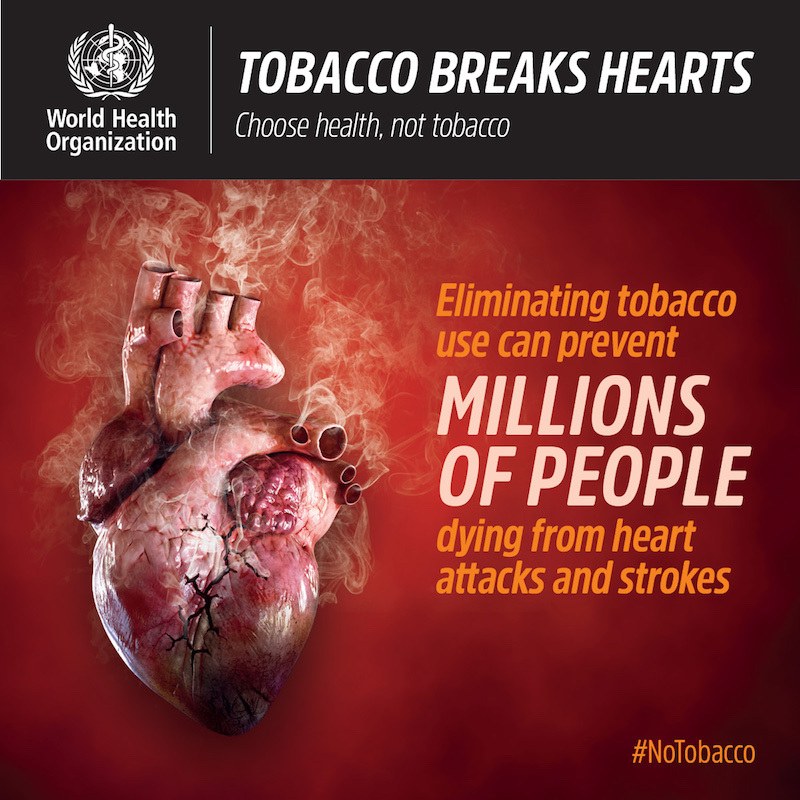 National comprehensive cessation services with full or partial cost-coverage are available to assist tobacco users to quit in only 26 countries, representing 33% of the world's population..
Monitor tobacco use and prevention policies Protect people from tobacco use Offer help to quit tobacco use Warn about the dangers of tobacco Enforce bans on tobacco advertising, promotion and sponsorship Raise taxes on tobacco..